At a recent conference, I spoke about Cryptozoology in general and the local sightings in southern Ontario. In the audience was a brilliant 8 year old boy named Billy. Billy had done a book report on a book I wrote several years ago, and has a budding interest in Fortean Zoology. Billy’s eagerness to learn is inspiring. Sadly, very little is available for his age group by way of factual information on animals unknown. I fired up Google and searched everything from “cryptozoology kids” to “teaching kids about bigfoot” and came up with not only few websites, but really, really bad ones. Most academic websites tell children that Bigfoot and Nessie and Ogopogo are myths. This is disrespectful to witnesses and certainly not truthful information to teach children. 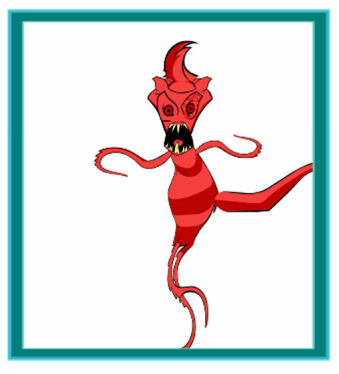 Among the better websites is http://encyclopedia.kids.net.au/page/cr/Cryptozoology, a site from Australia that simply gives facts. On the opposite end of the spectrum is a Saturday show on The Comedy Network called “Secret Saturdays” on whose website you can create your own cryptid. Here is mine. My son is 11 and in grade 6. Often I have had to battle with teachers who claim that certain things are “not real”. I don’t know about other school districts, but here in Toronto, they aren’t too keen on teaching “pseudoscience”. I’m always more than willing to teach a classroom of kids—at any age—about the wonders of investigating unknown animals. To date, none of the schools have expressed an interest, and one has gone so far as to suggest that talking about such things might be harmful to a child. Apparently teaching children to question, and wonder, and explore is passé. There is a promising website called Crypto Camp authored by Jon Duff. Far from complete, he seems to be on the right track as far as providing reasonable content for children who are interested in Cryptozoology. Mr. Duff has a good understanding of how media influences children and seeks to give accurate information, although he is not actually a student of the subject. His background is in fine arts and web design. Certainly there will be criticisms forthcoming, but so far he’s doing well in his attempt. How can we satisfy the curiosity in children like Billy? Who is best qualified to put together an age appropriate presentation? How do we get schools to invite this “out of the box” thinking? Personally I think the answer is that ALL of us, no matter what our level of understanding or interest, need to get actively involved in spreading the word to children. Too many kids fear Bigfoot or figures like Nessie because of the title “Monster”. Too many kids don’t understand that many of these formerly unknown creatures are now documented and “known” because someone never gave up on proving their existence. It’s time to breed the next generation of Fortean Zoologists; and to do so with logic, science, dedication, and perseverance. I began a site for a graduate course project that stuck to ONLY the facts and was designed to encourage critical thinking about monsters. Due to my other commitments, I was not able to pursue and expand this but it still exists online as a template. Aside from that, there are many good children's books published on dragons, giants, mermaids and other mythical and cryptozoological creatures. The theme has even percolated into children's films.